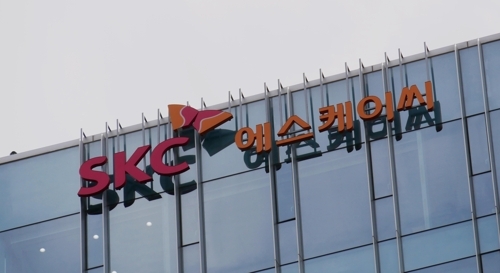 SEOUL, Oct. 24 (Yonhap) — SKC Co., a South Korean maker of chemicals and film products, said Wednesday that its net profit rose 13.1 percent in the third quarter from a year earlier on increased sales of high-end products. For the three months that ended on Sept. 30, the company’s net reached 39.8 billion won (US$35.2 million), up from 35.2 billion won a year earlier, the company said in a statement. Operating profit jumped 12 percent on-year to 54 billion won, but sales fell 6.9 percent to 689.4 billion won in the third quarter.